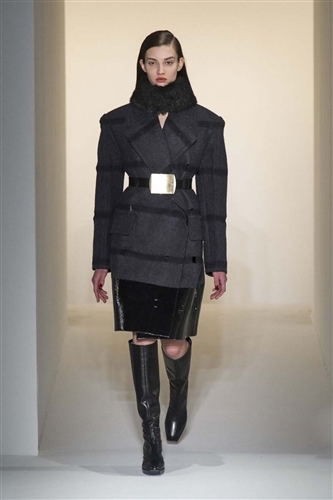 Outerwear has been a massive trend on New York catwalks this week but at Calvin Klein, the main focus was definitely on the coat. The incentive for the collection came from the 1962 Russian film, ‘Ivan’s Childhood’, which Francisco Costa believed to be ‘all about the coats’ when the two characters are falling in love. 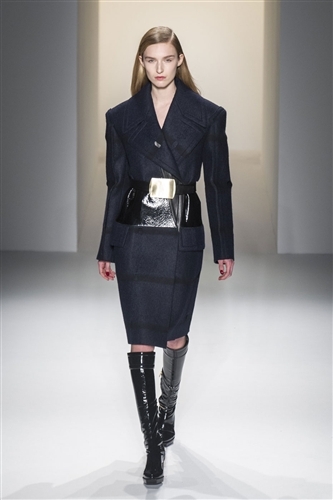 The waistline was emphasised throughout with belts pinching in dresses as well as jackets. 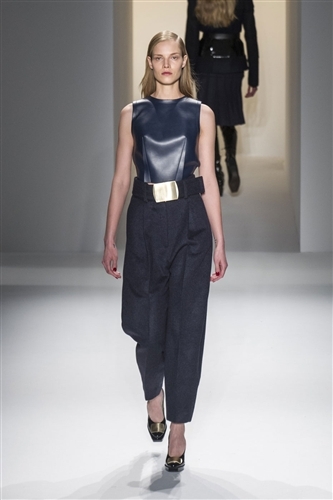 A mixture of vinyl and leather fabric around waistbands and hems added texture to garments, infusing a Soviet feel. Jacket silhouettes were oversized and large in shape combining structured tailoring with unfeminine styles. Colour was bleak with pieces being predominately black except for dark shades of green and mauve. The unexpected glimpse of ivory was also a breath of fresh air. There was nothing delicate about Costa’s creations, it was all very powerful – he created authorative clothing for the leading woman.